In recent years, many museums have implemented sweeping changes in how they engage audiences. However, changes to the field’s approaches to collections stewardship have come much more slowly. Active Collections critically examines existing approaches to museum collections and explores practical, yet radical, ways that museums can better manage their collections to actively advance their missions. Approaching the question of modern museum collection stewardship from a position of "tough love," the authors argue that the museum field risks being constrained by rigid ways of thinking about objects. Examining the field’s relationship to objects, artifacts, and specimens, the volume explores the question of stewardship through the dissection of a broad range of issues, including questions of "quality over quantity," emotional attachment, dispassionate cataloging, and cognitive biases in curatorship. 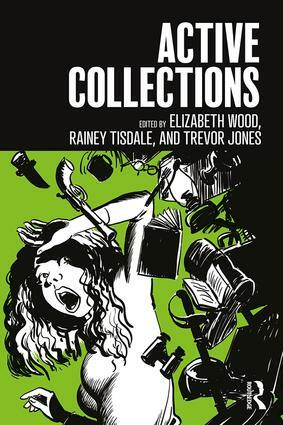 The essays look to insights from fields as diverse as forest management, library science, and the psychology of compulsive hoarding, to inform and innovate collection practices. Essay contributions come from both experienced museum professionals and scholars from disciplines as diverse as psychology, education, and history. The result is a critical exploration that makes the book essential reading for museum professionals, as well as those in training. Elizabeth Wood is Professor of museum studies, and public scholar of museums, families, and learning at Indiana University-Purdue University Indianapolis (IUPUI), USA. Rainey Tisdale is an independent curator who leads for change on field-wide issues including place-based interpretation, collections stewardship, creative practice, and museums and well-being. Trevor Jones is Director and CEO of the Nebraska State Historical Society, USA.